After an accident, dealing with the insurance company can be difficult, confusing, and stressful. Knowing what to expect can keep you from making mistakes with your accident claim. With over 35 years of experience handling insurance companies, we can help guide you through the insurance claim process. 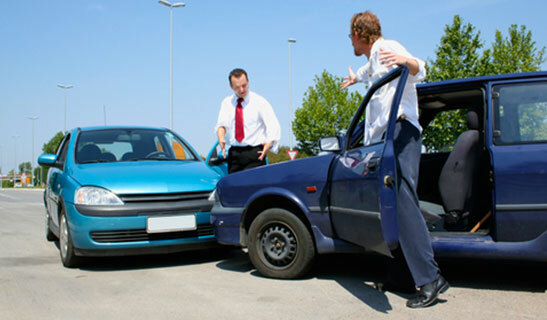 If you've been involved in an accident, the best way to handle aggressive insurance companies is through an intimate knowledge of their tactics and legal procedures. That's what we do best. Since 1982, we've recovered over $1 billion dollars in verdicts and settlements for our injured clients. Contact us today at 1-866-943-3427 or fill your information into the form located in the top right corner for a free consultation. Our legal professionals are standing by to help with your accident case. If you've been injured, we recommend reporting the accident to your insurance company as well – regardless of who's at fault. Don't give a recorded statement to anyone – even your own insurance company – until you speak with an attorney. They may try to place responsibility on you, even if the other driver is at fault. If possible, make sure to document your accident. Take pictures and gather any information you can – or have a trusted friend or loved one do it. Income Loss coverage may be on your policy, but it won't be active until after you've missed 5 days of work. Beware – Accepting the check may prevent the insurance company from giving you any more compensation. We recommend seeking legal advice for your injury claim. One mistake can easily ruin your chance to recover fair compensation. Many drivers don't have adequate insurance coverage – making them Uninsured or Underinsured – if you aren't covered against this, then you could be stuck paying for their mistake. We're available 24/7, so call us anytime at 1-866-943-3427, or fill out our free online legal consultation. We'll review your case for free, answer your legal questions, and determine the best options for your case. We're ready to get to work for you. Our consultations are free, and there's no obligation to use our services. You won't pay us anything until we recover money for your injuries. If you don't get the compensation you deserve, then you won't owe us anything. That's our guarantee. There's never a fee unless we get money for you.